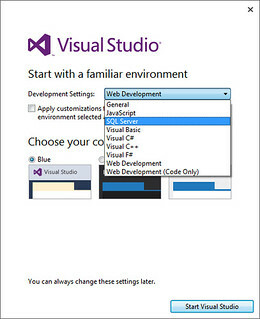 [W]hen you first run Visual Studio after newly installed on your machine you will be prompted to select its environment based on your development needs, there are some options to be chosen and you should choose what is best for you. 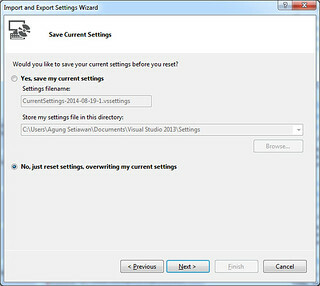 After a while you might want to change the environment setting of your Visual Studio. Not Microsoft if they don’t provide such a luxury (read : easiness) to developers. 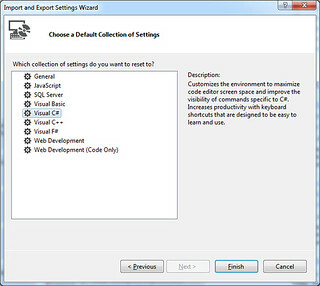 Follow these steps to change environment setting for better productivity. 1. 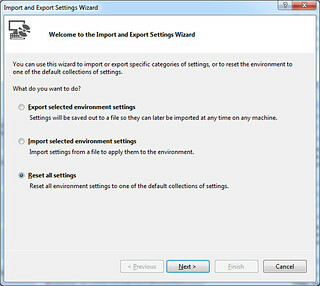 Go to Tools >> Import and Export Settings..
4. Choose your environment there!